Fnatic has teamed up with their sponsor AMD to gift one of their fans with a brand new gaming graphics card! 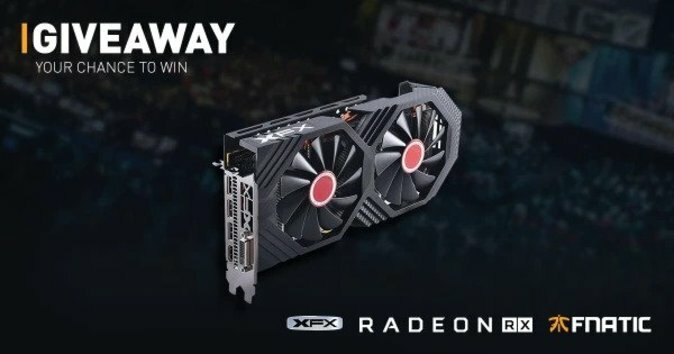 To enter in their latest 2nd AMD Radeon RX580 Graphics Card Giveaway grab your free entries by following few simple steps listed down below! After countless hours of research, development, and testing our engineers have developed all new VRM and Memory cooling technology, reducing temperatures VRM by up to 30′ C and GDDR temperatures by 20′ C, all while reducing dB noise by an additional 5%. Fnatic shall notify the winners via E-mail within two business (2) days of The Giveaway draw with the tickets. The details of the winner required in order to effect transfer of the Prize, and to guarantee entry on the night.